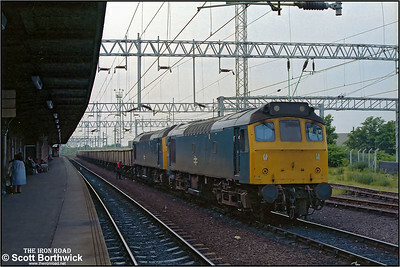 25208+25302 and 25120 are stabled at Nuneaton Trent Valley on the evening of 24/06/1983. 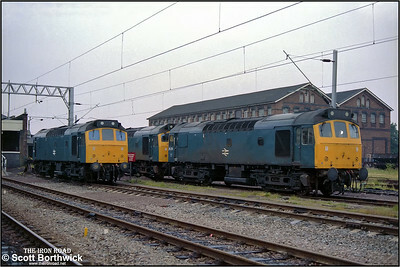 25302+25251 stand at Nuneaton after running round 7L81 Draycott-Bletchley on 25/06/1983. 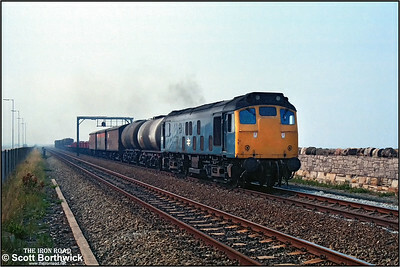 25242 passes Ffynnongroyw with 7F10 1538 Llandudno Junction-Warrington Arpley Speedlink service on 12/07/1983. 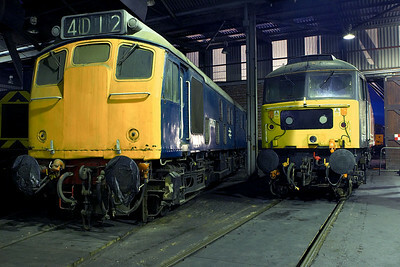 Dumped outside in the yard at St Rollox, 25318 has 25028 for company on 24/07/1983. 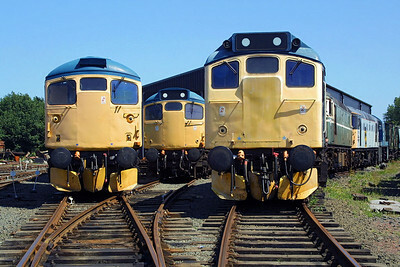 Also visible to the left are 20116, 27005, 27008, 20020, 27027 & 08563. 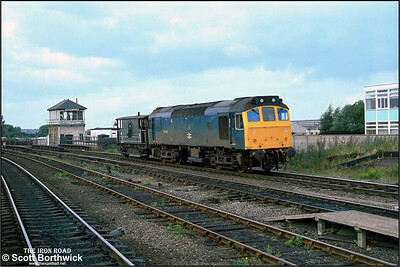 25202 trundles through Lincoln St Marks with a single brake van in tow on 06/09/1983. 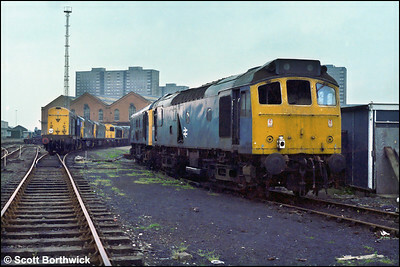 Lincoln St Marks closed on 13/05/1985 to make way for the construction of the St. Marks Shopping Centre. 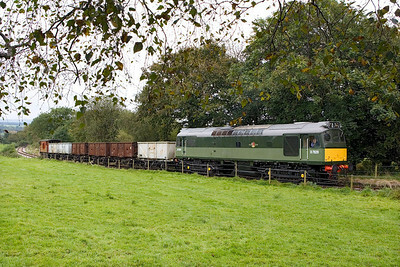 Services were diverted by way of a newly constructed line into Lincoln Central. 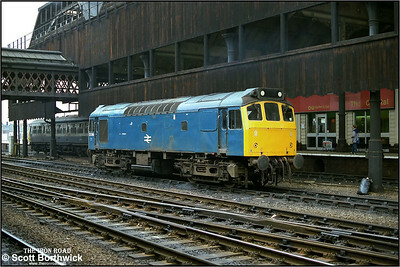 25269 takes a break during station pilot/banking duties at Manchester Victoria on 24/02/1984. 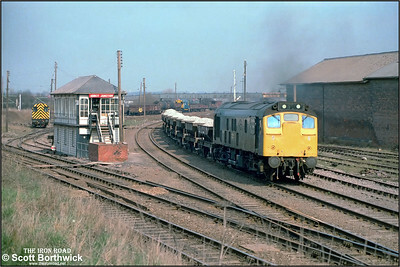 25037 arrives at Nuneaton Abbey Junction with a ballast train from Croft Quarry on 05/04/1984. 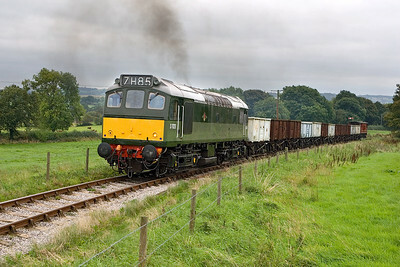 08928 can be seen to the left of the signal box on pilot duties, whilst in the distance a stranger from the north in ex-works condition, 08712 based at Dunfermline Townhill (DT) can be seen in the consist of a mixed freight train. 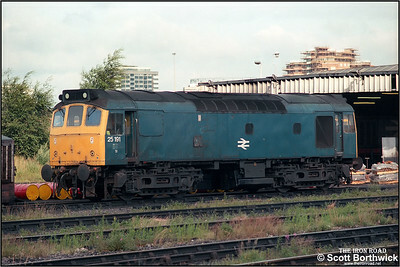 25191 is stabled at Saltley LIP (SY) on 05/08/1986. 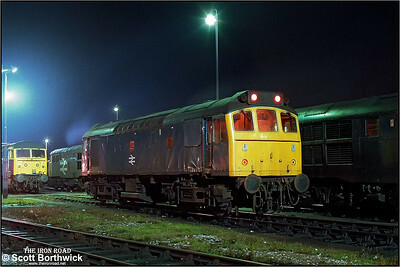 25249 awaits it's next duty at Saltley LIP (SY) on 12/11/1986. 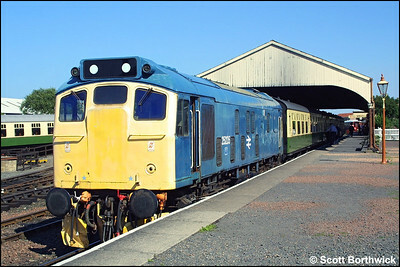 25235 features in this shot of former Scottish Region motive power stabled at Bo'ness on 13/07/2003. 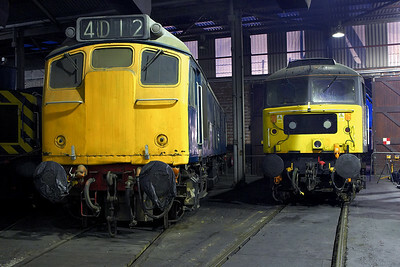 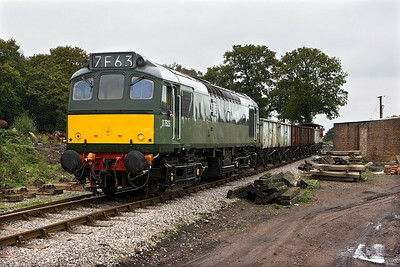 D5394 and 26004 can be seen behind the class 25, whilst to its left are 27001 and 26024. 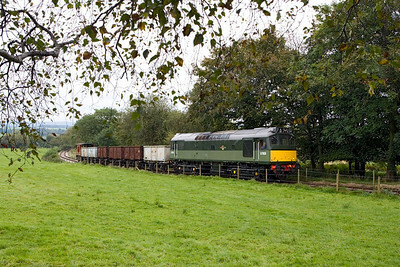 In a rather weather beaten condition, 25235 stands at Bo'ness prior to working the 1615 service to Birkhill on 13/07/2003. 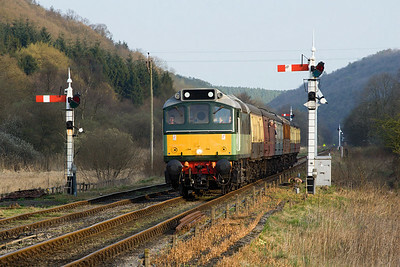 D7628 (25278) climbs up to Goathland at Darnholm with the first southbound service of the 2007 Diesel Gala, 2P01 0945 Grosmont-Pickering on 20/04/2007. 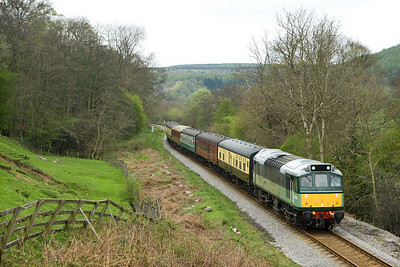 D7628 (25278) coasts downhill at Green end on 20/04/2007 whilst working 2G06 1115 Pickering-Grosmont. 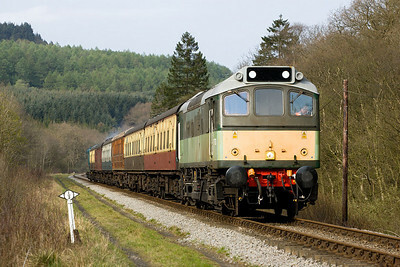 D7628 (25278) approaches the cutting at Abbot's House with 2G16 1435 Pickering-Grosmont on 20/04/2007. 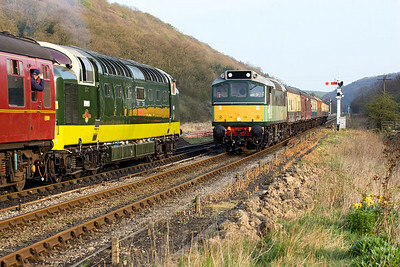 In the first sun of the 2007 Diesel Gala, D7628 (25278) passes the platelayers cottages at Yorfalls Wood on 20/04/2007 with 2P17 1615 Grosmont-Pickering. 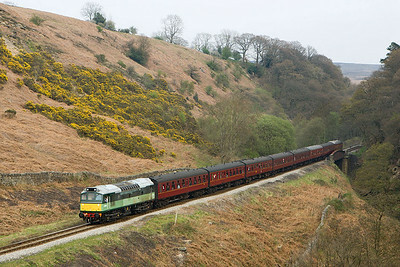 D7628 (25278) approaches Levisham on 20/04/2007 with 2G24 1750 Pickering-Grosmont. 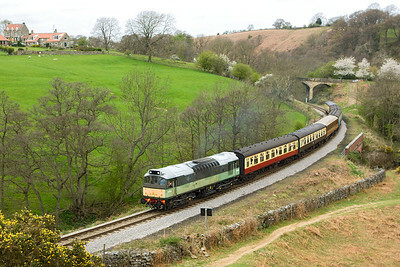 D7628 (25278) approaches Levisham on 20/04/2007 with 2G24 1750 Pickering-Grosmont and passes D9009 (55009) working 2P19 1720 Grosmont-Pickering. 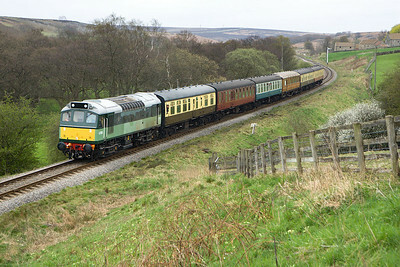 D7628 (25278) runs downhill at Thomason Foss on 21/04/2007 whilst in charge of 2G22 1435 Pickering-Grosmont.